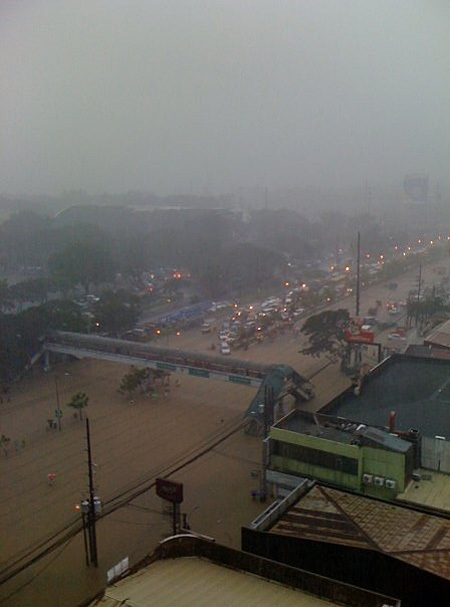 To say that the Philippines stood still in the midst of Ondoy is an understatement. I’m pretty sure I speak for everyone when I saw that no one expected the damage to be this huge. It’s the biggest disaster I’ve seen and experienced since the 1991 quake and yet it started out as what everyone thought as just the typical downpour. 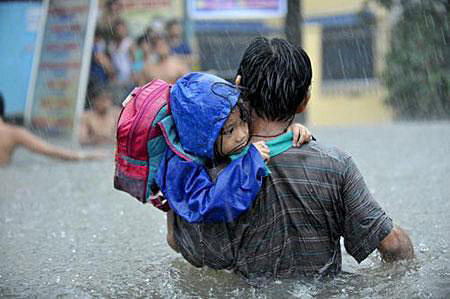 The truth however, is that Ondoy is the worst typhoon to hit the metro since 1967. 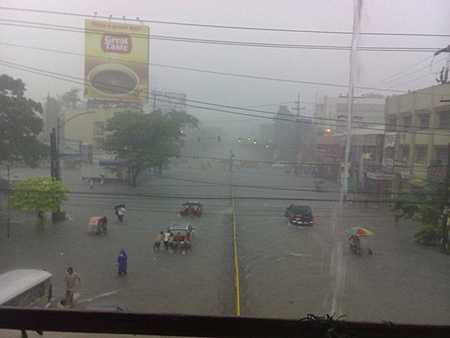 Just for comparison, Ondoy dropped 455 millimeters of rain in Quezon City in 24 hours, while Hurricane Katrina dropped 250 millimeters of rain to New Orleans in Louisiana in the United States in 2005. That’s a months worth of rain in less than a single day and the metro as we know it turned into a literal sea of flood water. My girlfriend and I found ourselves stranded along EDSA, waiting for the traffic to get moving and eventually a bus to take us home. Somewhere along the way (on Starmall as Paula, my girlfriend confirmed), a pickpocket managed to slip clean away with my wallet. Lucky for me, I had all my cash on my pocket instead of inside my wallet. Enjoy my 10 pesos mr. pickpocket. 😀 I’ve already cancelled/reported my cards btw. It took us more than 8 hours of walking along stopped vehicles on the expressway. It felt like a Hollywood movie >_>. Oh, the reason why there were no vehicles going to Cavite AND why there are still vehicles stopped on the expressway? 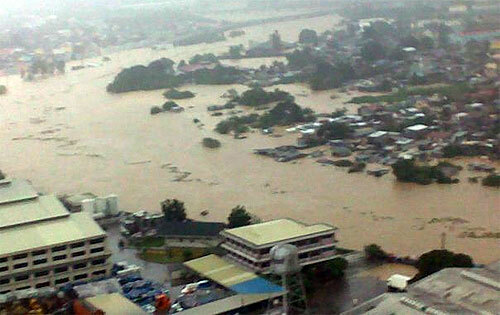 Turns out that Bacoor, the gateway of Cavite to Manila, was flooded in knee deep waters. 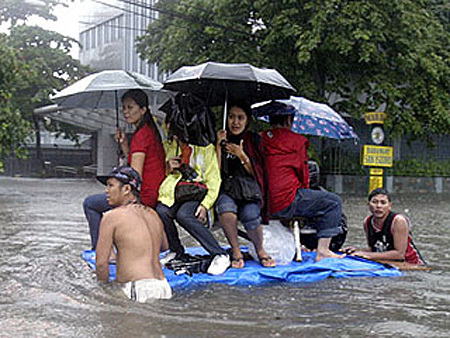 Since everyone needed to pass through Bacoor to get to anywhere in Cavite, no one was able to get through. So yeah, our decision to walk it out turned out to be the right choice. When we reached SM Bacoor, we we’re faced with waist deep waters and a current that’s sure to take our weary bodies along with it. Lucky for us, a 10-wheeler truck was just about to trek the waters to EPZA. Our home was along it’s route so we decided to hitchhike. 😀 After more than 12 hours of trekking, we managed to get home safely. Moral of my story? Always bring your camera wherever you go. Missing the photos of an experience that happens once in a lifetime will be your biggest regret. Ok enough about you, how can I help? After a few hours of sleep, we turned to the news and realized how lucky we were to get home relatively unscathed from the long trek. We knew there wasn’t much we could do since we’re still effectively broke (no cash, no ATMs, no money from Adsense yet.. YOU’RE LATE AGAIN) so we decided to do volunteer work and help packing goods. It’s not much but it’s the least we could do to help. If you’re here wondering how you can help out from your area please read this Disaster Relief Google Spreadsheet. It’s kept up-to-date by volunteers, bloggers, NGO’s and citizens that contains the complete list of relief drop off points, hotline numbers and establishments that accommodate relief goods for typhoon Ondoy victims in the Philippines. 3. Immediately after shipping the goods, please send the (a) original Deed of Donation, (b) copy of packing list and (c) original Airway Bill for air shipments or Bill of Lading for sea shipments to The Philippine National Red Cross–National Headquarters c/o Secretary General Corazon Alma de Leon, Bonifacio Drive, Port Area, Manila 2803, Philippines. 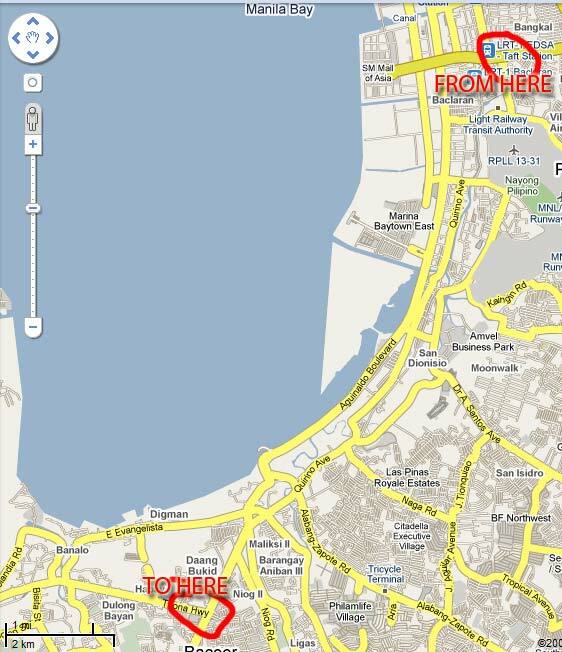 If you want to help coordinate efforts for rescue and relief teams, there’s Typhoon Ondoy Mapping Team. The current map can be viewed here. I know not everyone can put in an effort to help but if you haven’t been affected by the storm or got through it relatively unharmed like me, please try to do your part. If you remember your Civics/Araling Panlipunan/History subjects, one of the most known Filipino trait is Bayanihan. Let’s put aside our differences and help our kababayans who are victims of this calamity pull through. This is indeed a real tragedy and thanks for the information. I will do what I can to help. Take care.